When you finally find that special someone you feel on top of the world! Love fuels every cell in your body with pure joy and happiness. You want to share that feeling with everyone and hug the universe. Love makes us do extraordinary things, and preparing for the big day can be both exciting and terrifying. That’s why sometimes it’s best to let someone else help you organize your dream wedding. Destination weddings are getting more and more popular. Today, more than ever we have the globe on the palm of our hand. Choosing the perfect destination is just the first step toward your bright future colored with passion, love and romance. Croatia has been recognized as a diverse destination with a lot to offer to soon-to-be newlyweds. Already known as a land of 1000 islands, majestic natural beauty and phenomenal Mediterranean cuisine, Croatia is just ideal for your wedding getaway. The mild climate will help bride’s make-up stay on spot, grooms attire on fleak and guests gowns comfortable for a night of dancing. During the period from May to September you are able to choose a number of stunning venues where your dream wedding can take place. Tremendous historic locations add to the atmosphere of eternal love and level up your love story to a fairytale one. In creating this article we consulted with experts. It always comes down to the details. Every detail no matter how small plays an important role in bringing truly mesmerizing experience. Individual approach and adjusting to your own particular ideas and visions of the big day is Martina’s job. Martina is a top wedding planner dedicated in helping you have the most beautiful wedding day of your dreams. Martina is an incredible multi-tasker with sensible ability to understand your specific desires when it comes to venue, music, food, ceremony ect. Her long-term dedication makes her a valid asset of the Weddings in Croatia agency specialized in full service wedding planning and design. In the city of the most striking modern landmarks, Zadar, Mediterranean architecture and romantic setting settled impressive wedding venue – The Arsenal. 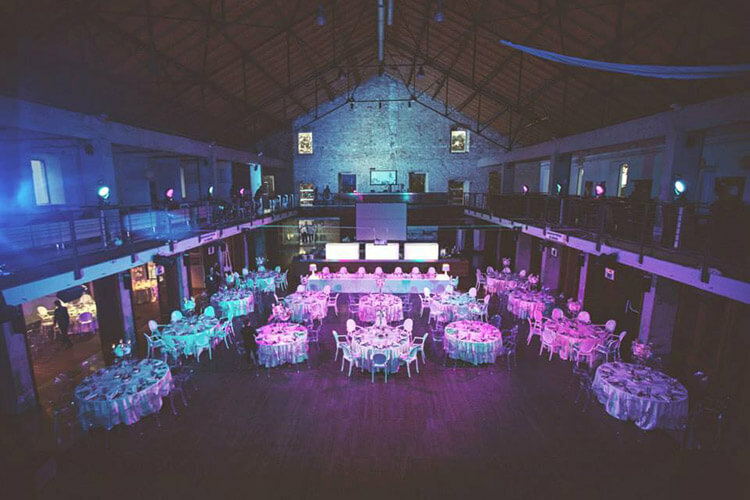 The Arsenal is a former port warehouse built in the 16th century that is now a multifunctional divergent space ready to embrace your most treasured memories of sharing your vows. If you are like us, a fan of Zadar, this acoustically astounding venue will blow your mind. 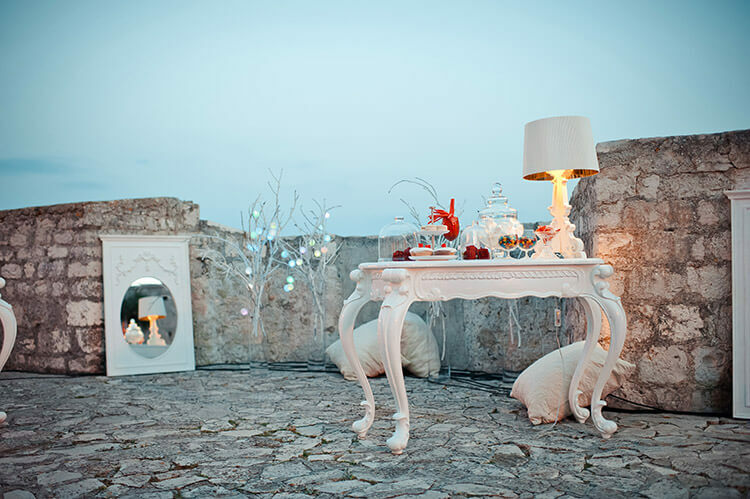 Picturesque castle situated on top of a hill in the very heart of Istria, Croatian most romantic region is another irresistible venue. This place has unique written all over it. It is mostly suited for couples looking to find that hidden treasure out of sight where they can indulge in some of the tastiest food. If you have doubts about this venue, the breathtaking view from the castle will push you over the edge (pun intended). Although we wrote about Hvar being a party destination, we kind of didn’t uncover all at once, given the fact that the island of Hvar has incredible romantic potential peeking from every corner. The sunniest island in Europe has a unique mixture of herbs overflowing the hills creating marvelous combination of fragrances in the air. How would you like to take your first dance under the stars embraced with scents of lavender, sage and rosemary? 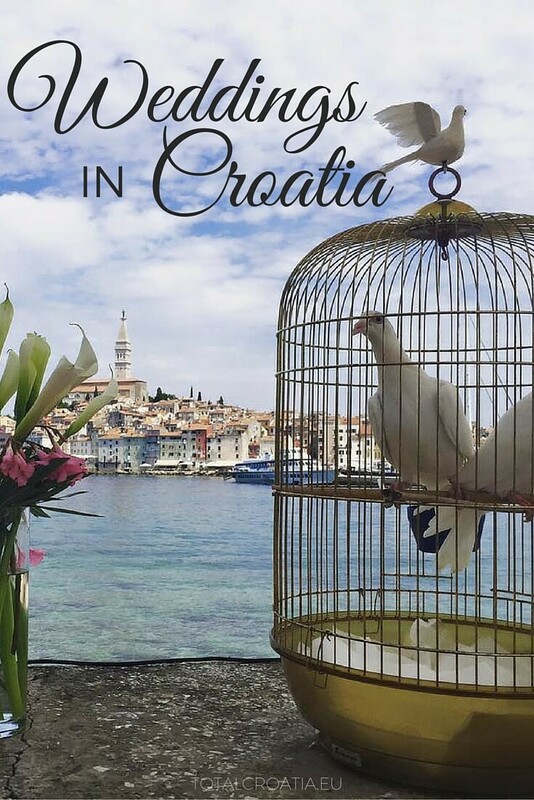 Hop into the role of star crossed lovers of Lidia and Gaius as you take a boat ride from Rovinj to a tiny charming nearby island to exchange your vows in the alluring landscape of the blue seas. Former castle Hutterott dating from the 19th century simply has everything a splendid wedding venue should have. Outdoor ceremony supported with luscious green scenery, candle lights, salty air, wondrous delicacies and music of your choice. If you are looking for an intimate celebration, but in a luxurious ambiance, Martinis Marchi is a perfect venue for you. A place where modern décor meets historical heritage in order to bring you the most glamorous Mediterranean flavored ceremony ever. The island of Šolta is abundant in vineyards, olive trees and fishing traditions, making it an ideal destination for any couple hungry of traditional outdoor celebration in luscious gardens blessed with a magnificent view. Aside from the venues mentioned above, Croatia is flooded with undiscovered hidden gems and places that make the most amazing backdrop of your wedding day. Observatory, plant nursery, castles, wineries, the selection is endless. If you are interested in an equestrian wedding, on a beautiful ranch with alluring greenery and stunning horses learn about equestrian club Trajbar near Zagreb. What do you think about destination weddings? Is that something you secretly dream of? Could you see yourself saying “I do” on the beach? What do you think about the presented venues?